If theology is "faith seeking understanding", then reflection is implicit. Perhaps we're confusing theology and faith? Not sure what the author means by "theology." Theology requires reflection, and practice and then reflection and practice. Otherwise it is apologetics and dogmatics. 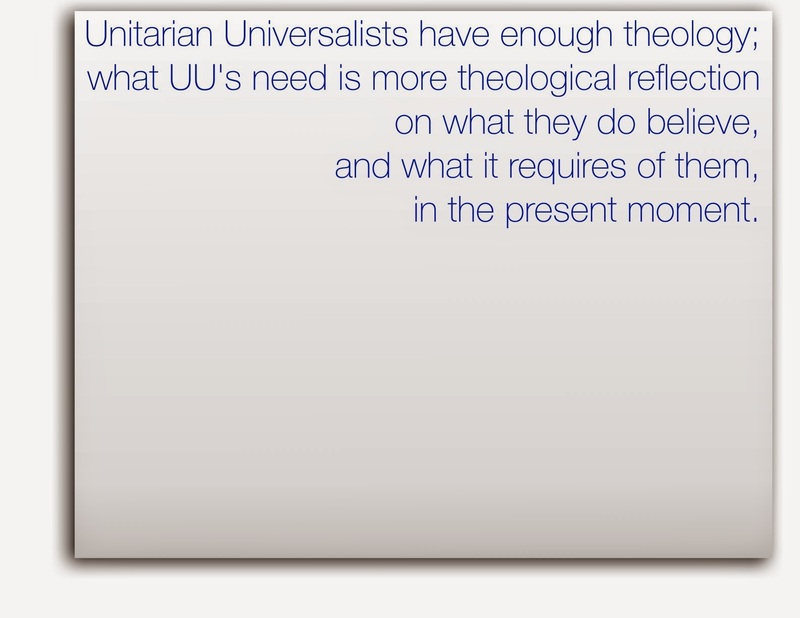 Is the author opining that the UUs are dogmatic and apologetic theologians? Show me. No Clyde, that's not what I am saying. What I hear, especially from what I call the "neo-Old School" UU's, is a lament that UU's lack "serious" theology, by which they mean apologetics and dogmatics. I have sung that tune myself many times. I now think that what we need is more theological reflection or what you call the cycle of practice/reflection.